Autologous stem cell transplantation recently has been introduced for the treatment of autoimmune diseases. Accordingly, in nine patients with life-threatening SLE who failed to respond to intravenous cyclophosphamide therapy, autologous hematopoi-etic stem cell transplantation in combination with high-dose chemotherapy (intravenous cyclophosphamide, 50 mg/kg) has been performed. 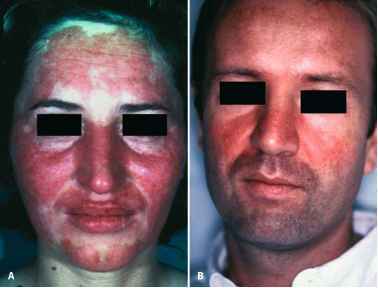 One patient died of disseminated mucormycosis, and one patient developed cytomegalovirus viremia before transplantation. The remaining seven patients showed an improvement and remained free of active lupus during 25 months of follow-up (Traynor et al. 2000). However, because of the severe side effects and the sometimes insufficient response rate, this treatment may be considered only for patients with life-threatening disease that cannot be controlled by conventional immunosuppressive measures.